" AKAI EIE PRO - Attention Driver 2.13 to OSX 10.8.2"
The Akai EIE Pro is an audio interface that connected to my computer via USB connection. This interface is more of a “box” type of shape and is not very sleek. But the quality that it provides is second to none. There are two VU level meters on the front of the interface and 3 extra USB ports to connect some other device to your computer through. 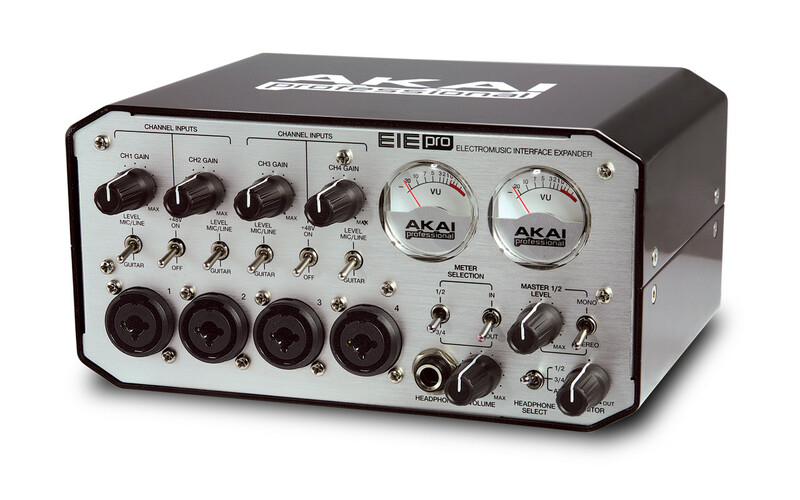 There are also 5 Pin MIDI connections and a headphone output that has a switchable source and direct monitoring dial. This interface was easy to get running, it does come with a manual and it will explain anything that you need to know before using or installing the drivers. You can use this interface in almost and DAW or performance software on both PC’s and Mac computers. 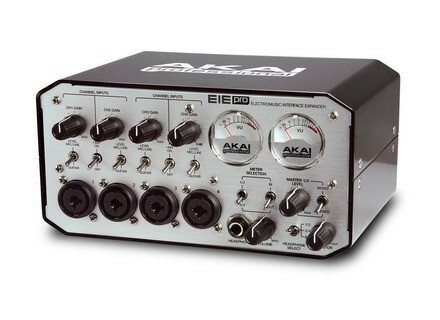 The sound quality is pretty decent especially for an interface from Akai at this price. The preamp is pretty good as well, but it will all come down to which microphone the artist chooses to use with this interface. I suggest picking your microphones wisely because depending on what you are recording (vocals, instruments, etc..) it could seriously affect the sound quality of your recording. This interface does have 48 Volt phantom power and multichannel recording. The look of this interface is pretty neat, it is more of a vintage style or looking interface but with the specs there is nothing vintage about it. It is very clean and modern sounding (when paired with the right microphone). Also Akai does update the drivers from time to time so it is good to keep your eye out. I have notices that they have updated more drivers than any other Brand of gear that I own. So with this interface I would not be surprised if it has not be updated several times already especially with Windows 8 being out now. But it does work great on XP, VISTA, and Windows 7.